Welcome to another piece of my new series! 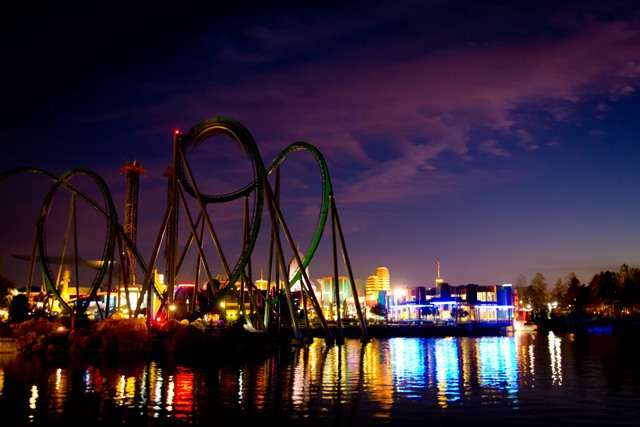 Today, I want to tell you about my favorite roller coaster at Universal Orlando Resort. It can be found to your left just as you enter Islands of Adventure Park. It’s purple & green. Guessed yet? That’s right! 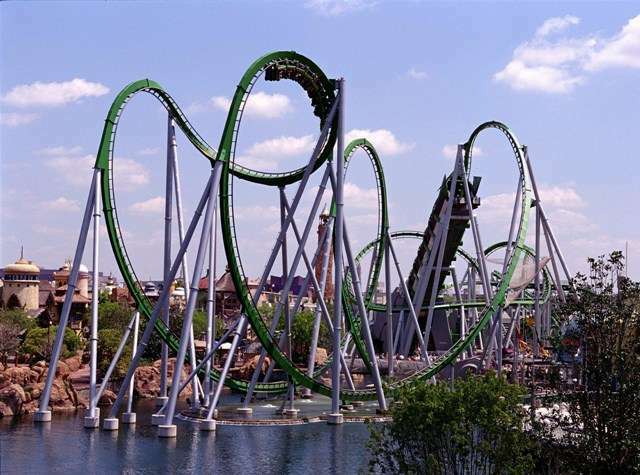 I’m talking about The Incredible Hulk Coaster! The first thing you need to do before getting in line is to rent a free locker. You are not allowed to bring any loose articles on the coaster. It’s a great idea leave everything, including your cell phones & wallets, in the locker since the coaster has several inversions. The lockers are located just to the right of the queue entrance & are well marked. Then it’s time to enter the queue. The queue is meant to resemble a lab. It is purple and green with a bunch of twists and turns. It also has giant tanks of colored green water with bubbles in it that are up the side of the ramp and in the middle of the room in a giant circle. My favorite part about the queue is all the tv’s playing different Hulk cartoons. Added bonus…it is air conditioned inside. When you reach the end of the queue near top, you can continue with the regular queue or go to the left for the front-row exclusive queue. If you are tall or need the bigger seats, ask for those seats once you reach the end of the queue. Once the ride begins, you slowly go throw a green and purple tube. Then, all of the sudden, you shoot straight out of the tube! You are propelled up 150 feet & will reach speeds of up to 67 mph. There are 7 (!) inversions. You will experience twist, turns, and loops. You will even go through a mist tunnel. The ride moves very fast & is so fun! I like this ride because it is very fun and thrilling & it gives me an adrenalin rush! You should ride it because it is an amazing adventure. If you are a roller-coaster junky you will absolutely love it. Thanks for reading!